In this class you will learn the basics for quilting on your home sewing machine with ease and confidence. We will show you how to set your machine for your best results, talk about threads, learn new designs, help you manage your quilt and much, much more! 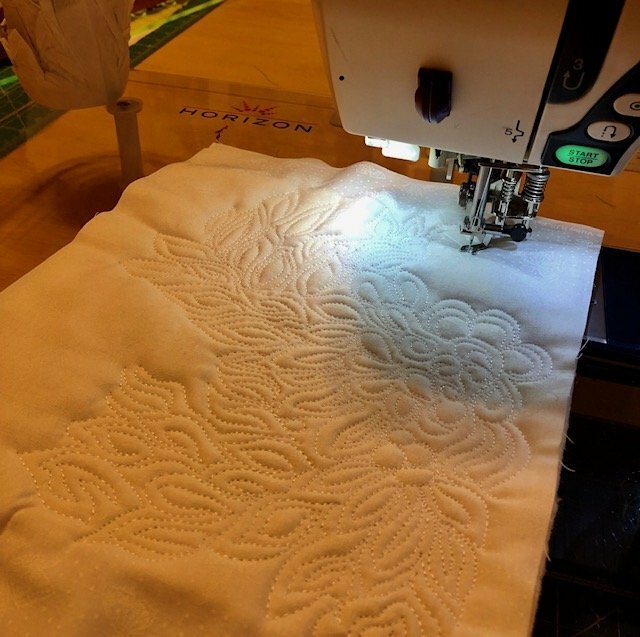 Lana has been quilting on her domestic machine for over 12 years and has tackled everything from small quilts and projects to king sized quilts. She will help you troubleshoot how to set up your machine to quilt with ease, what threads to use or not use, tension issues and teach you fun designs for any project!